The SmartPAC PRO is featured in this January 2019 FFJournal article. 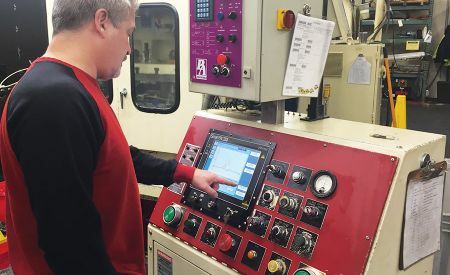 Increasing demand for IIoT connectivity, automation and the need to quickly store, recall and back up large amounts of data has led one company to develop a press automation controller that is creating some star power of its own. The Wintriss SmartPAC PRO press automation control integrates programmable limit switch, die protection, clutch/brake control, tonnage signature analysis, and automated setup of counterbalance and shutheight into one control. 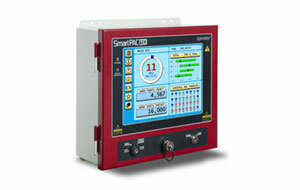 The SmartPAC PRO features superior graphics, advanced communications, and the most user-friendly operator interface in the industry. Its built-in Ethernet capability allows you to view the press status and other information from your networked controls from anywhere. All you need is a remote connection to your network and a web browser. The SmartPAC PRO's Info Center feature allows you to display setup sheets, part drawings, and other information right at the press. Wintriss also offers stand-alone die protection, sensors, connection hardware, tonnage monitoring systems. With more than 40 years experience and 40,000 systems installed, the Wintriss Shadow® Safety Light Curtains have a proven track record. 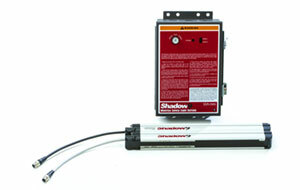 The Shadow 9 complies with OSHA 1910.217, ANSI B11.1, ANSI B11.19, CSA Z142 and CSA Z432. Its unique design enables you to protect multiple sides of a machine using a single control and up to four pairs of light curtains in series. The WPC 2000 and WPC 1000 Wintriss clutch/brake controls are easy-to-use control systems for part-revolution mechanical power presses. With two independent microprocessor systems, the WPC 2000/1000 provides diverse redundancy - the latest technology in maintaining optimum clutch/brake control and operator safety. Wintriss also offers a stand-alone brake monitor, and custom control consoles and panels. ShopFloorConnect® OEE monitoring and manufacturing data collection software uses the latest technology to collect downtime and production efficiency data from every machine in your factory and display it in real time. ShopFloorConnect automatically calculates Overall Equipment Effectiveness (OEE) for your machines, and features automatic report distribution. It is built around the powerful Microsoft SQL database for faster performance and ease of access to the information that it collects from the machines. We are a leading manufacturer of press automation, die protection, and safety controls for the metal stamping industry, and data collection software for all discrete manufacturing. Our products are known for their proven performance and rugged dependability in the toughest factory environments. Wintriss equipment is backed by attentive service, timely repairs, and comprehensive spares inventories. A toll-free hotline gives customers immediate access to technical support experts for product information and applications assistance. © Copyright 2018 Wintriss Controls Group LLC. All Rights Reserved.